The biggest motorcycle show in the UK, Motorcycle Live – an annual pilgrimage for fans of all motorcycling genres is back this November and, of course, the Harley-Davidson® stand (3C20 in Hall 3) will be a leading highlight of this ten-day biking extravaganza. 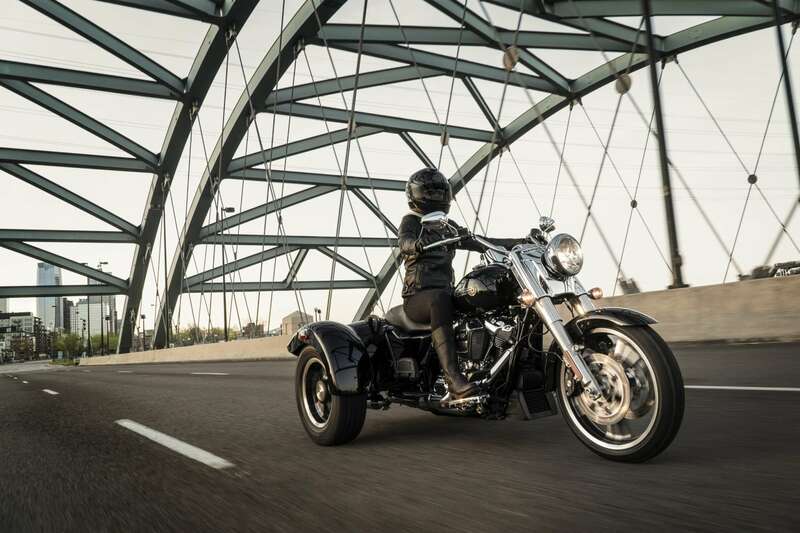 The Harley-Davidson Softail® range, introduced for 2018, has won many new fans and for 2019 there are many reasons why the popularity of this range of bikes will continue to grow. Motorcycle Live is an ideal opportunity to get up close and personal with the newest member of the family, the FXDR™ 114, which promises smile-inducing performance to complement its striking styling. The future does not mean forgetting our heritage though and two things that will continue to go hand-in-hand are Harley-Davidson and customisation. Our own dealer-led custom competition “Battle of the Kings” (BOTK) is a perfect example of how customising a Harley-Davidson® motorcycle can make it a truly personal and unique machine. Our display of the top three BOTK bikes from the 2018 competition is guaranteed to ignite aspiration and inspiration. Of course, the Harley-Davidson Dark Custom range of motorcycles – a perfect blank canvas for your custom plans – will be on display too. Joining Harley-Davidson at Motorcycle Live 2018 will be another cultural icon American Crew. If you’re up for a professional barbering session in front of 1000s of fellow show visitors, the Harley-Davidson stand is the place to be – a great opportunity to get yourself looking as stylish as that new bike you’re there to earmark. These terms and conditions apply to the Harley-Davidson UK & Ireland free prize draw hosted on www.Facebook.com/HarleyDavidsonUK (“The Promotion”). Entry to the Promotion is deemed acceptance of these terms and conditions, therefore, please read carefully. The promoter of the Promotion is Harley-Davidson UK & Ireland, whose registered office is at Oxford Business Park North, 6000 Garsington Road, Oxford OX4 2DQ (“the Promoter”). Due to the short timescales, this Promotion is open to UK residents only (excluding employees of the Promoter, third parties involved in the Promotion and their families). To enter the Promotion, entrants simply need to comment on the competition posts on www.Facebook.com/HarleyDavidsonUK (see Appendix 1) to guess which garage does not contain a motorcycle. All people commenting will be entered once into a free prize draw. Entries submitted in any other manner will not be accepted. Only one entry per person. The Promotion will run from 1pm on Friday 16 November 2018 to 10am on Monday 19 November 2018 (“the Closing Date”). one pair of entry tickets to the Motorcycle Live event on 17-25 November. the cost of any other optional activities at the event. The Winner shall be selected at random from those deemed eligible after following the above entry criteria. The Winner shall be notified via their comment on Facebook no later than 11am on Monday 19 November 2018, and shall have until 2pm on Monday 19 November 2018 to claim the Prize. In the event that the Prize is not claimed by this deadline, the Winner shall forfeit the Prize and the Promoter may select an alternative Winner for the Prize. The Prize is not transferable and cannot be resold or given away as a prize. The Winner and their guest may be required to take part in reasonable publicity in connection with the Promotion, including the publication of their names, geographic location and photograph. The Promoter accepts no responsibility for any damage, loss, liabilities or disappointment incurred or suffered by you as a result of entering the Promotion or accepting the Prize. The Promoter shall not be liable for any failure to comply with its obligations where the failure is caused by something beyond its reasonable control, or that of a third party providing the Prize. The Promoter shall not be liable for any additional expenses incurred by the Winner in connection with the Prize including but not limited to travel, parking, accommodation, food or refreshments. Where the Prize involves use of a third party’s goods or services/attendance at a third party’s venue, the Winner will comply with any additional conditions applicable to attendance at/participation in an event/venue.